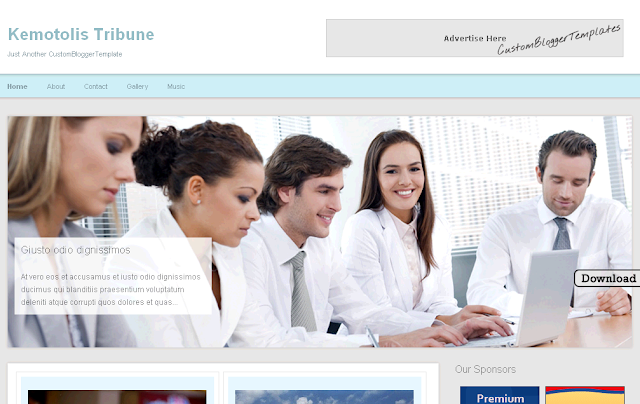 Kemotolis Tribune Is a magazine style Two Column Blogger Template with a Right Sidebar.The Template Colors Are mainly white and blue.The Templates Features Include a split header for AdSense or other ads.A full width featured posts slider.Fixed auto read more on the home page.You can download This Magazine Blogger Template for Free from BestBloggerTemplates.Net. how to add pages in the header? how do i remove the gray border in the images everytime I add caption to the images?